Nothing is more frightening than coming home day or night and realizing your door lock is broken. Lock Repair by Eoin & iUnlock Locksmiths is here to come to your rescue! We pride ourselves in being the best locksmiths in Sydney. There is nothing better regarding lock repair than turning that key and having the door knob open! Also, the security of knowing our door lock is working correct. All this excellent service we provide at a great value. Eoin & iUnlock Locksmiths is a member of the Locksmiths Guild in Australia and have been in business since the 1990’s. We provide 24-hour emergency mobile locksmithing services. You can also rely on us for such things as getting keys cut and purchasing lock supplies for home improvement. There are plenty of lock problems that could need solving. Perhaps you need a new key and lock or replacement locks. Worst-case scenarios like break in and enter repairs we can do them immediately and on site. 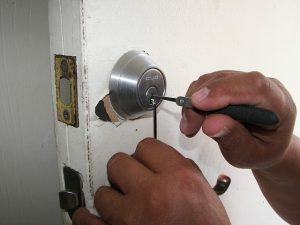 Your home or business will be left safe and secure with replaced, repaired, or rekey locks depending on the situation. Sometimes a lock is just old, and something as simple as replacement locks are in order. There is no lock repair-related service we don’t provide. Just need new keys? Call us! Do you need your lock re-keyed as well? Call us! If you are a strata or real estate agent, you will find our services helpful as well. A qualified, experienced, and reliable locksmith service is something everybody needs at one time or another. Simple upkeep and repairs or emergencies are handled promptly and by highly skilled locksmiths. Put your trust in us for your entire locksmith needs. Take advantage of our high level of quality, professionalism, and great value. Is it Cheaper for a Locksmith to Replace or Rekey Locks? Can A Locksmith Get Into My Fully Secured Sydney Home?